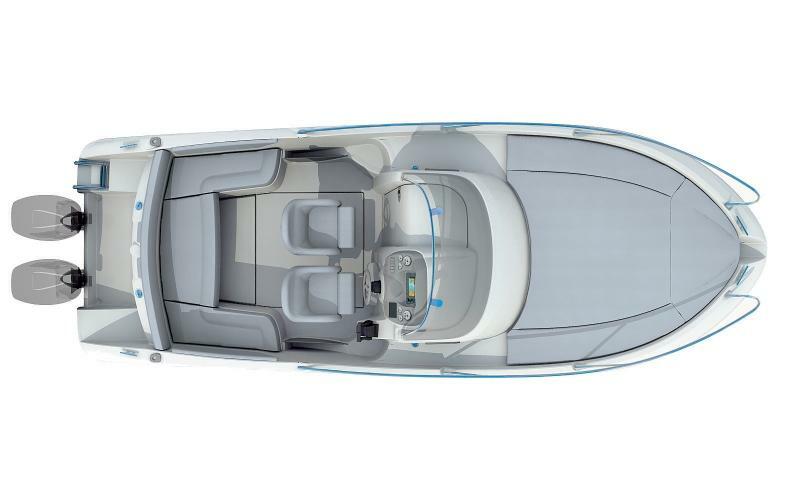 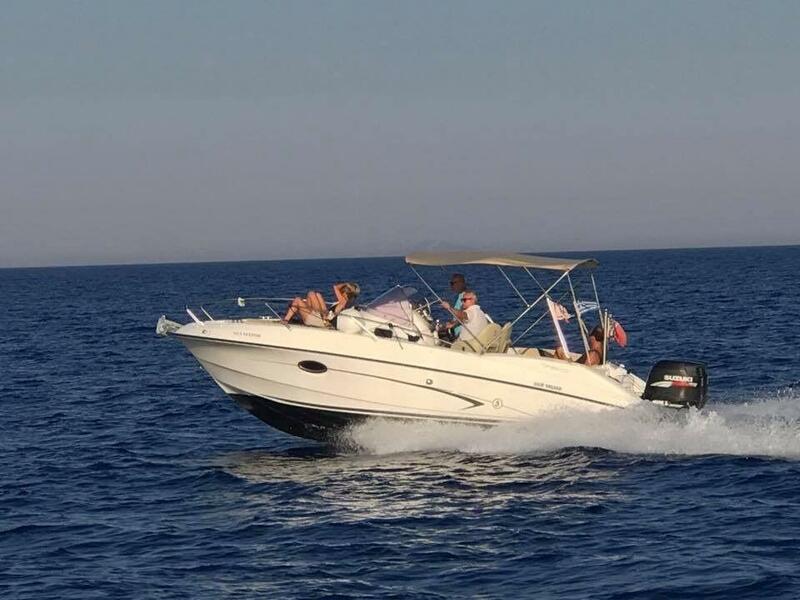 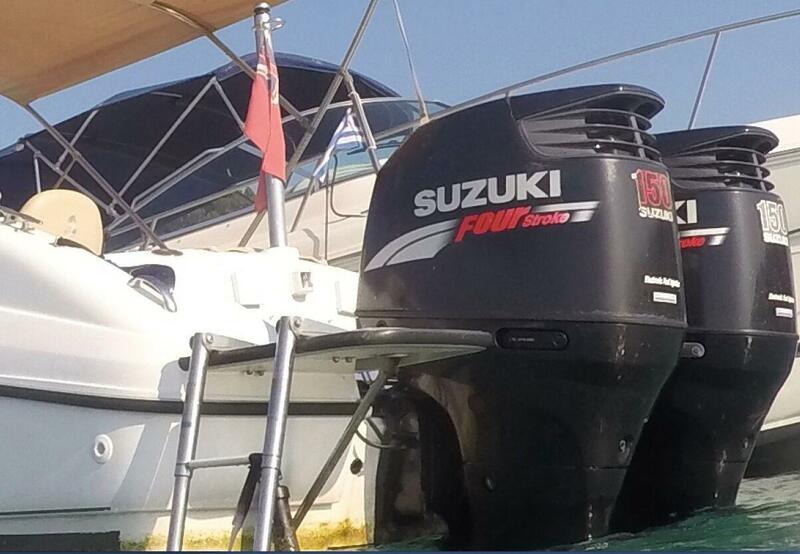 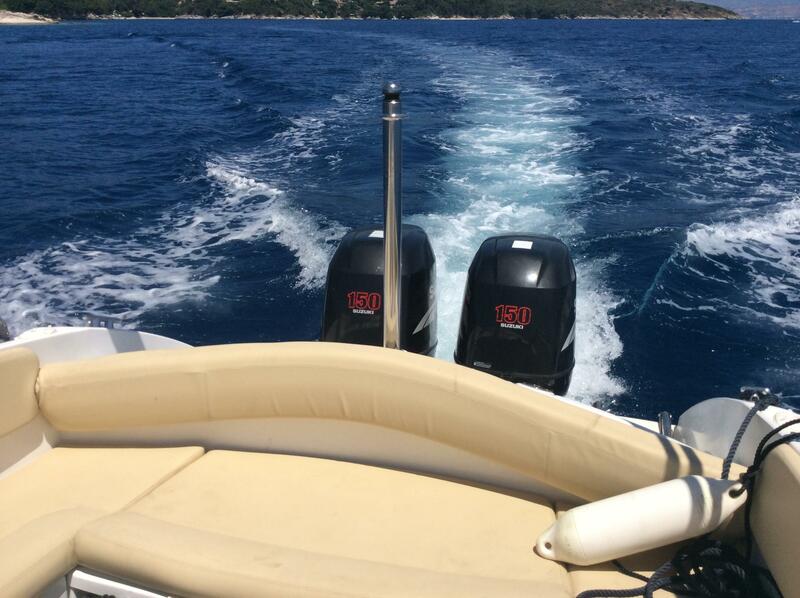 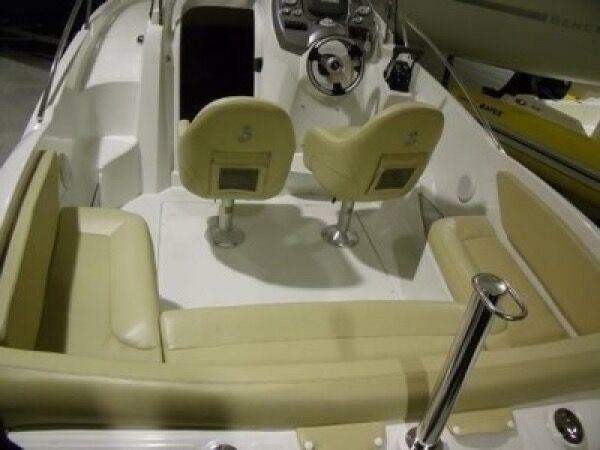 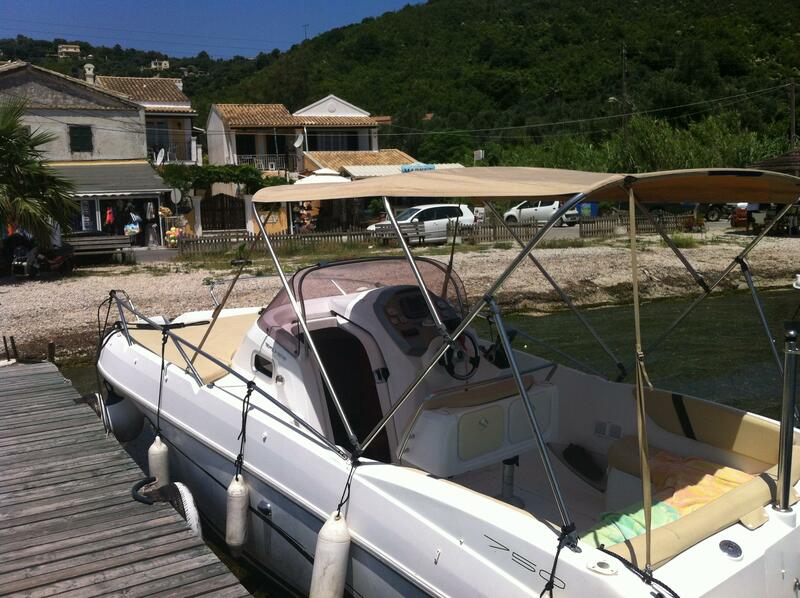 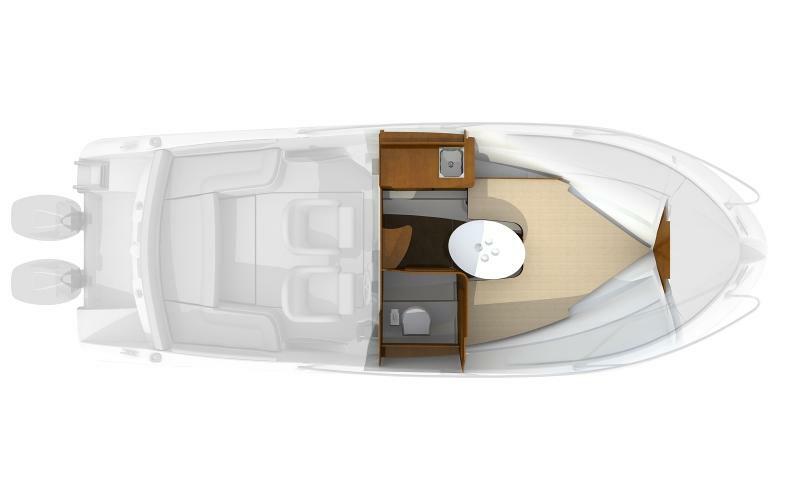 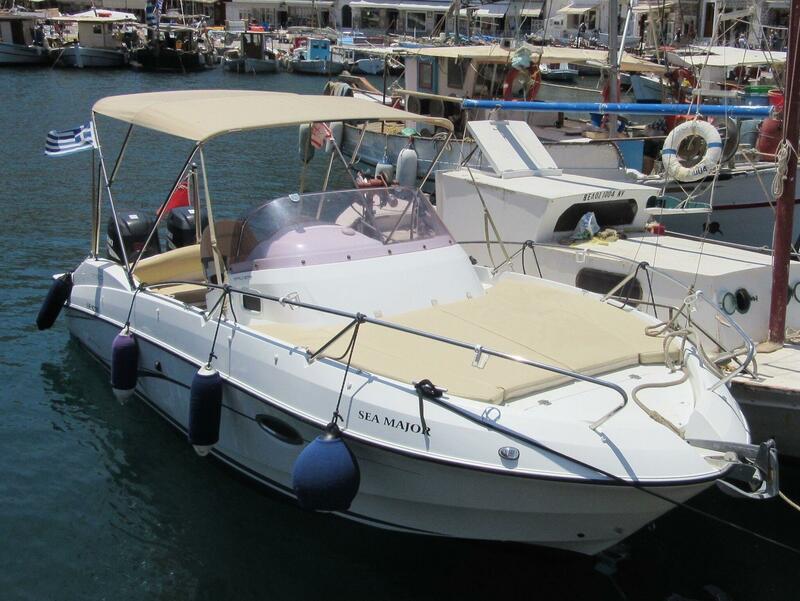 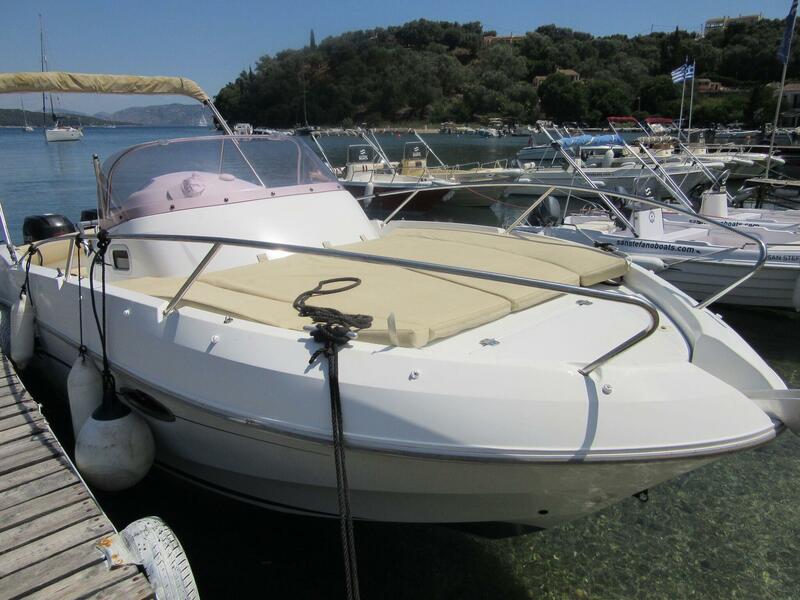 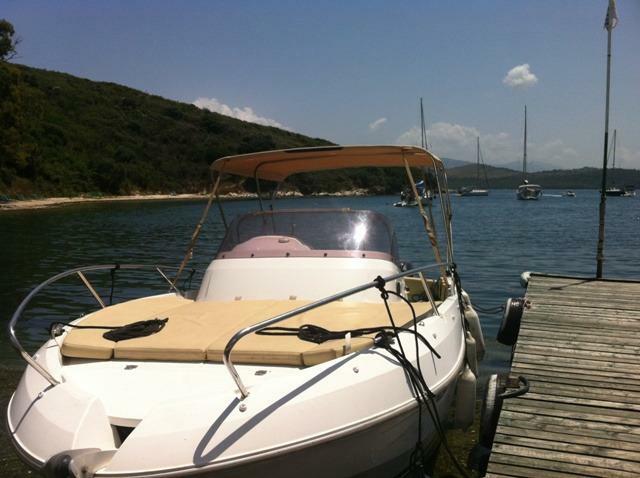 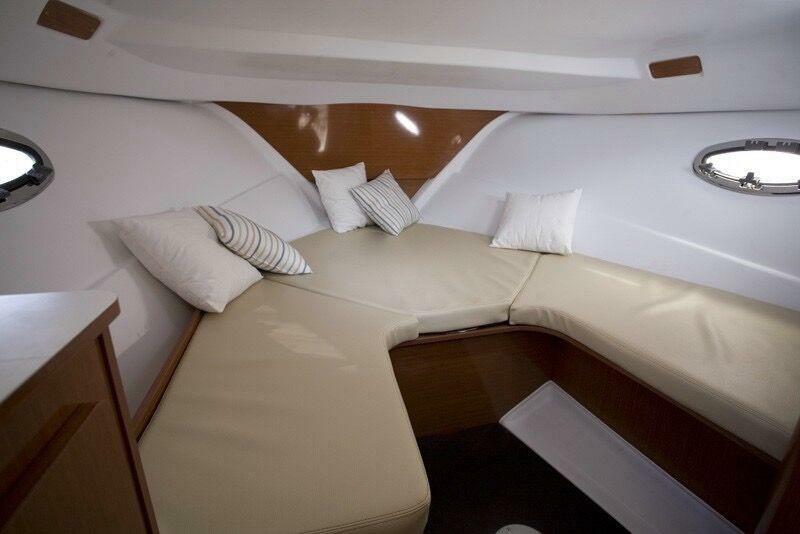 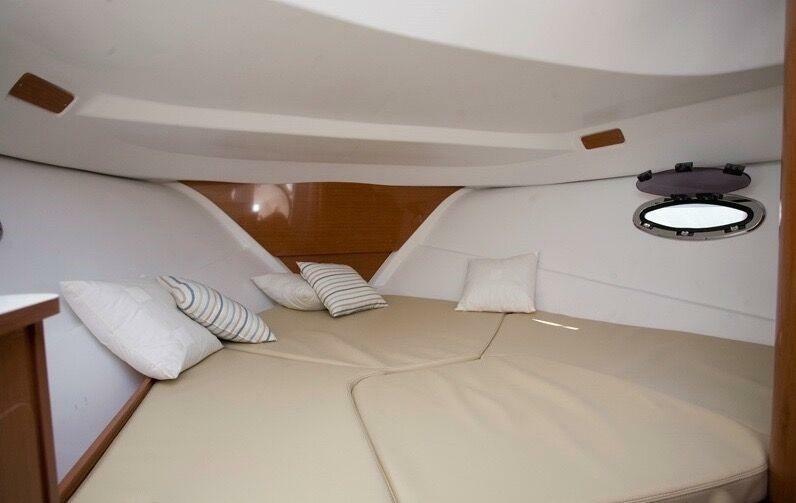 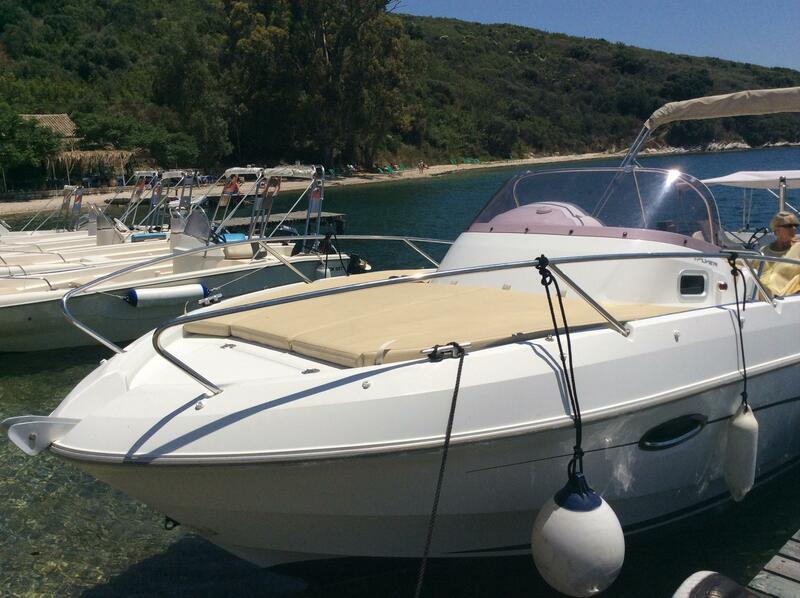 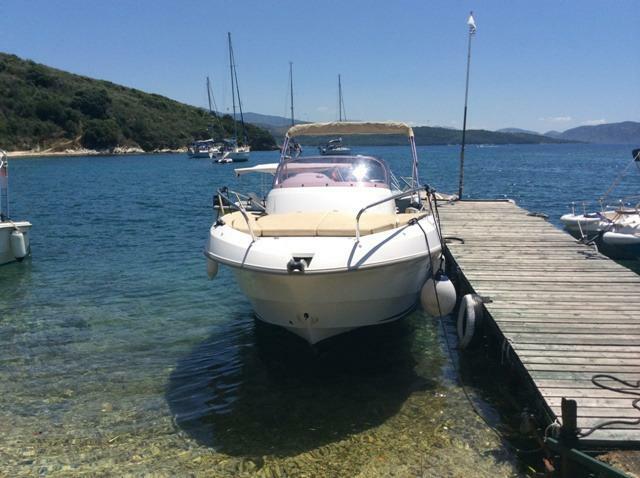 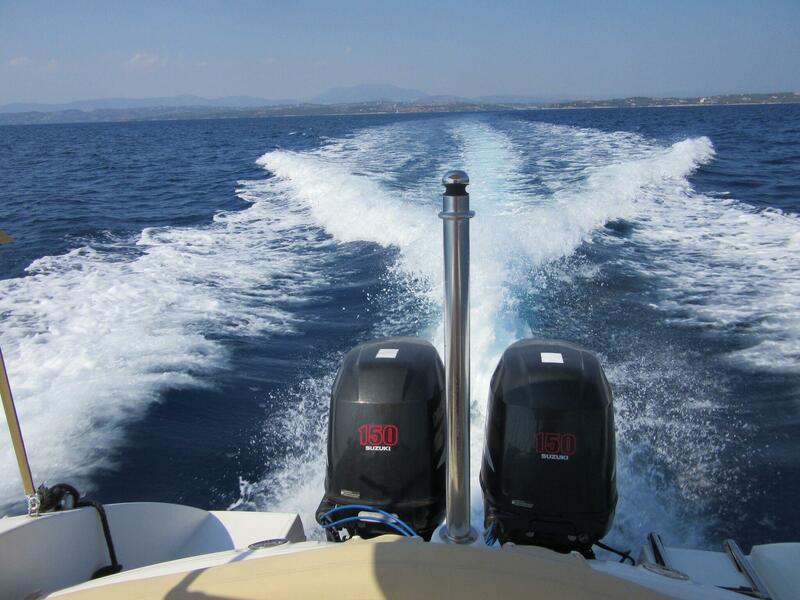 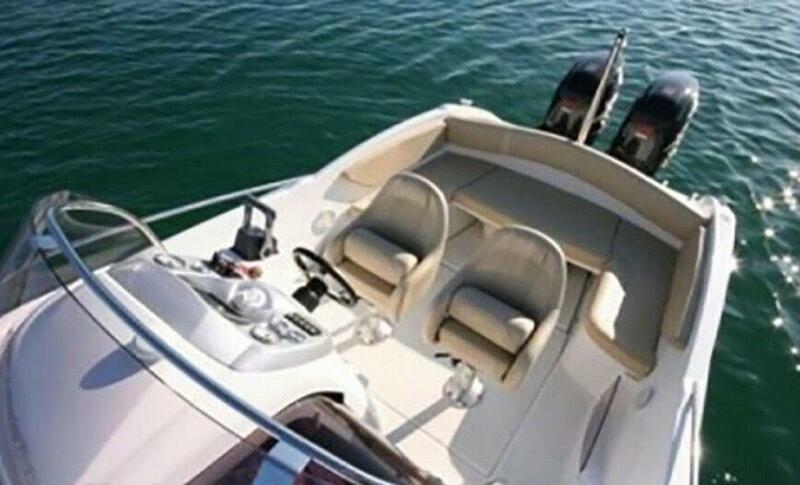 Beneteau Flyer 750 Sundeck - from 2008 with twin Suzuki 150hp outboards only used lightly with only 290 hours. 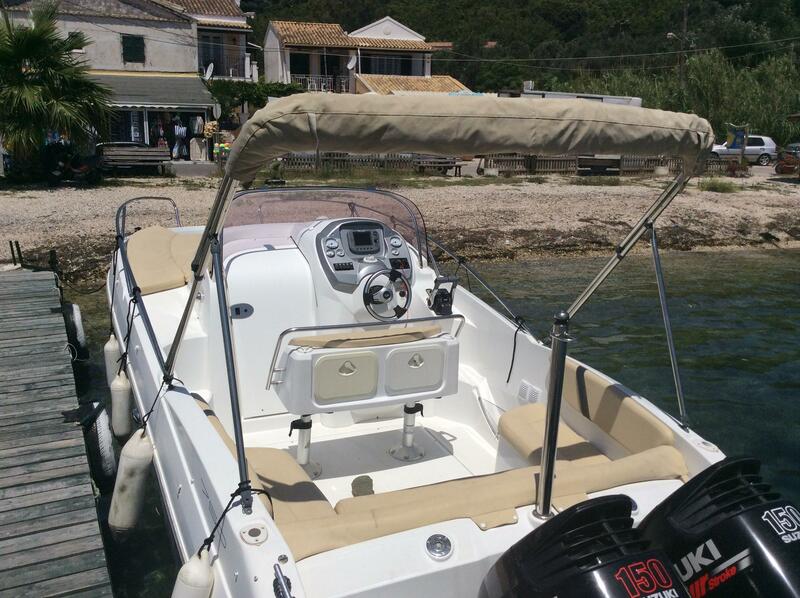 New Trim Tabs fitted, marine toilet, New pilot seats, engines serviced every year and boat kept under cover ashore in winter. 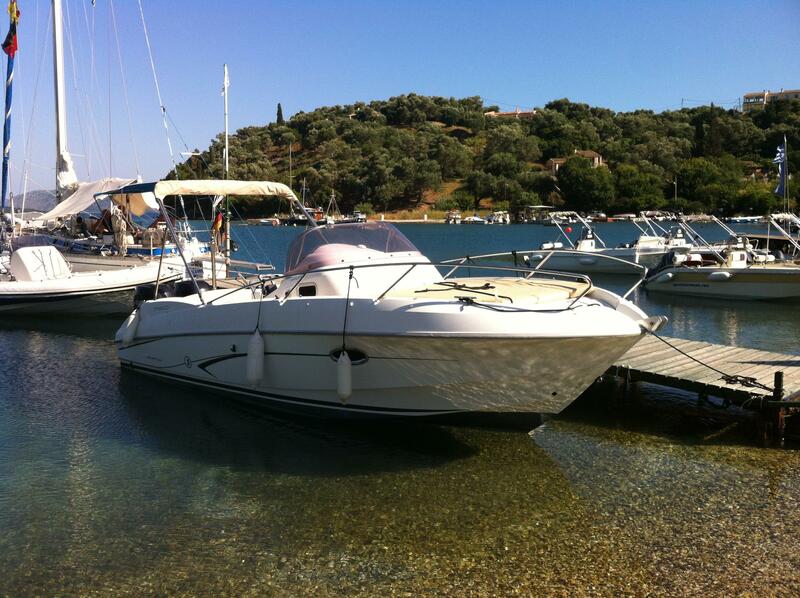 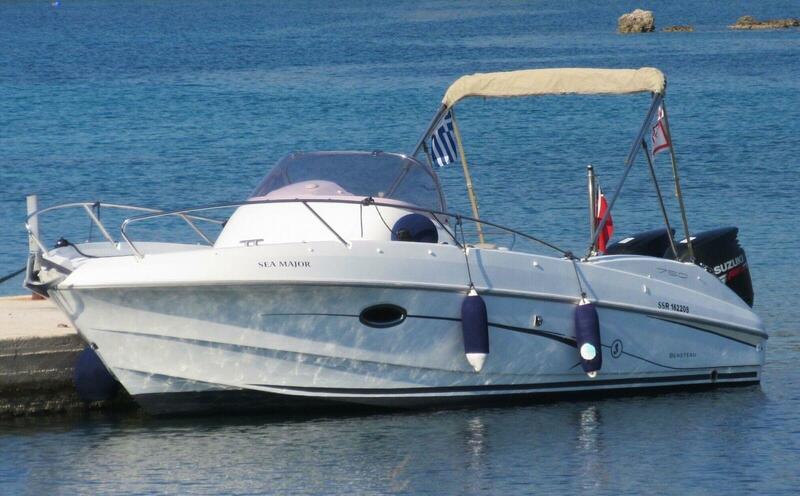 Lying in Spetses and registered in the UK. 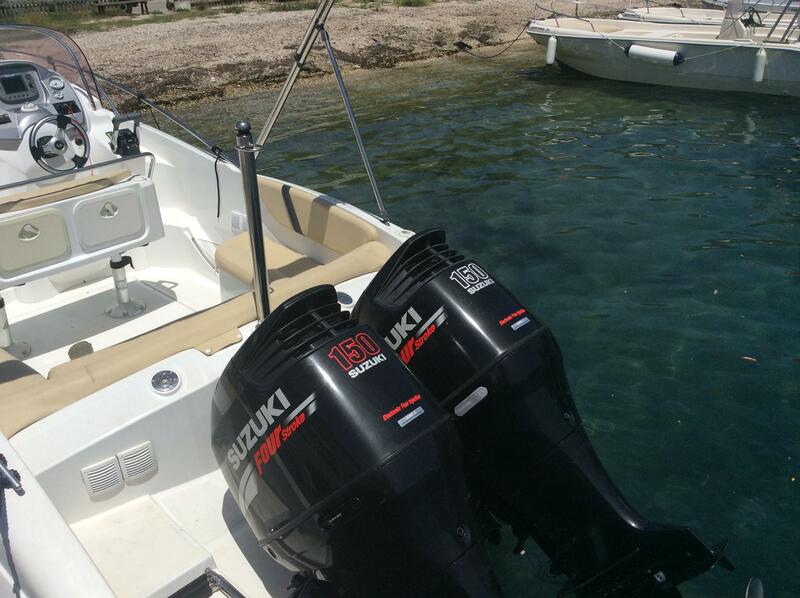 Two forward mooring cleats & Two midships cleats. 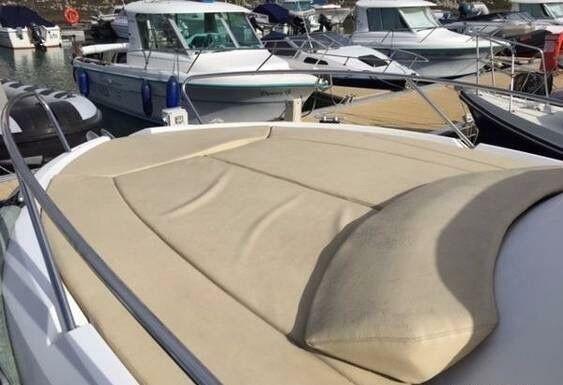 Sunbathing cushions for forward deck. 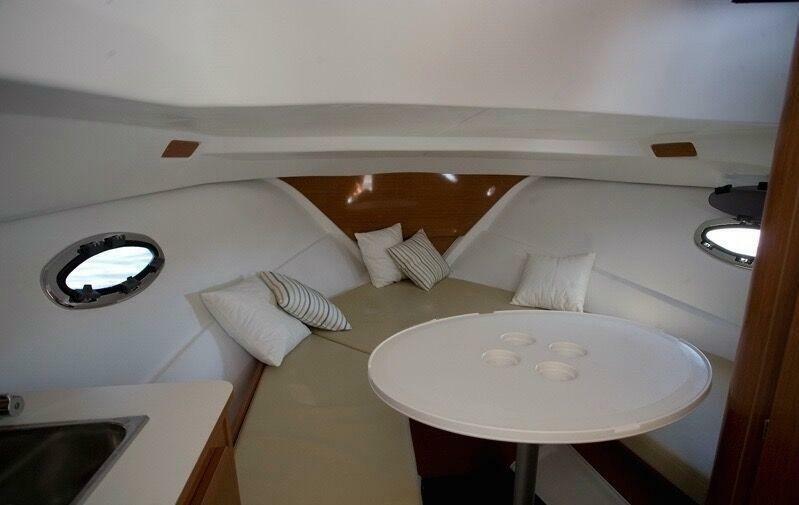 Large cockpit with u shaped bench seat. 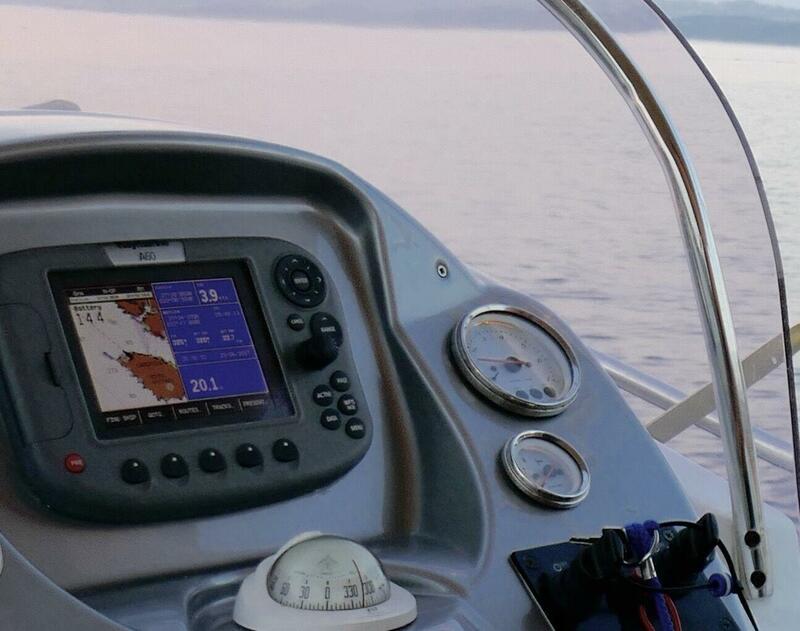 Helm with instruments and Raymarine A60 colour plotter. 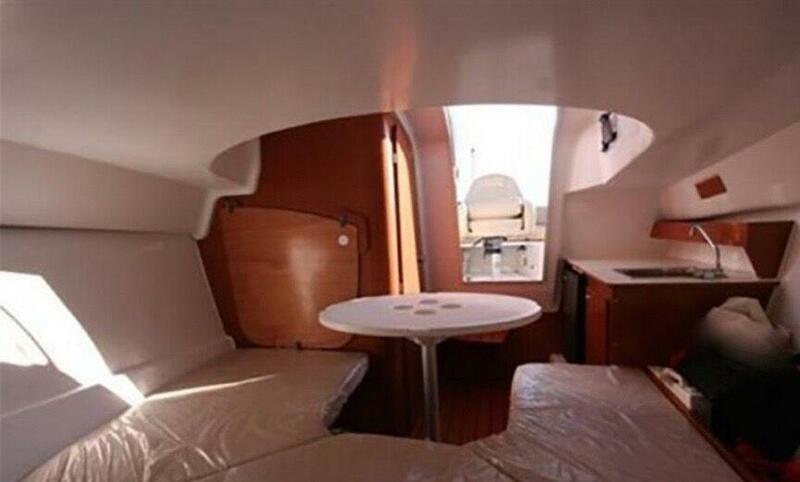 Cabin with two berth, table, galley with fridge and sink. 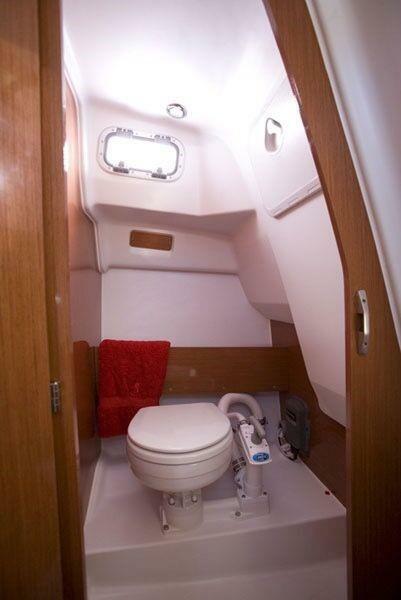 Compartment to starboard with sea toilet.